Labor and environmentalists face off over the Keystone XL pipeline. This isn’t the first time that greens have been painted as latte liberals removed from the issues facing ordinary people. In a final push to halt approval of the Keystone XL pipeline this spring, many environmentalists are posing a familiar question to labor: Which side are you on? So far in the Keystone XL conflict, unions have largely ended up on the other side of the line in the tar sand. The Teamsters, the International Brotherhood of Electrical Workers, the Laborers International Union of North America (LIUNA) and others have backed the pipeline as a way to create jobs. And as environmental groups flooded the State Department with comments opposing the pipeline, members of the AFL-CIO’s Building and Construction Trades Department (BCTD) rallied to send President Obama a different message: “We can’t wait,” said BCTD president Sean McGarvey during an April 24 demonstration calling for the State Department to approve the project. In other words, the Keystone pipeline fight has turned into an XL-sized problem for an already tenuous labor-environmental alliance. Faced with such rhetoric, environmentalists have sought to convince workers of their common cause by refuting the rosy job-creation claims made by industry groups. TransCanada says that its pipeline would create nearly 120,000 jobs, but a report produced by the Cornell Global Labor Institute and circulated by environmental activists asserts that this claim is wildly unsubstantiated. The pipeline’s opponents also emphasize that according to TransCanada’s own data, most of the jobs the pipeline does create will be temporary. This isn’t the first time that greens have been painted as latte liberals removed from the issues facing ordinary people. But the fight against the Keystone XL pipeline has actually helped “redraw the cultural map” of participation in the environmental movement, according to Kim Huynh, a spokesperson with the group Tar Sands Blockade. She notes that Tar Sands Blockade, the more radical edge of the broader movement, has drawn participation from conservative landowners, Texas grandmothers and indigenous communities in staging tree-sits, lockdowns and other dramatic demonstrations to halt the ongoing construction of the pipeline’s southern leg. She believes that this has succeeded in “legitimizing direct action” in the broader environmental movement and building, for the first time, a climate change movement “with real teeth.” But do environmental activists have any hope of successfully fighting global warming without labor’s support? Joe Uehlein, former secretary-treasurer of the Industrial Union Department of the AFL-CIO and director of the Labor Network for Sustainability (LNS), doesn’t think so. And while rhetoric like LIUNA’s may be bruising, he believes what’s crucial is that the labor movement is having a debate over the pipeline at all. “Change comes from tension and friction,” he notes. “If we avoid all conflict, then we preserve the status quo.” The fact that the AFL-CIO initially refrained from taking a position on the pipeline, acknowledging publicly that there was disagreement within the federation on the issue, is “historic,” he says. (In February, the AFL-CIO issued an apparent endorsement of the pipeline proposal, saying in a statement from its executive council that it backed expansion of the pipeline system, though stopping short of mentioning the Keystone XL by name). While such conflict may be uncomfortable for big institutional players in both movements, Uehlein notes that it can help catalyze change in the base of unions. That, he believes, is where the evolution of labor’s stance “from a regressive to a progressive one” has begun on every major social issue from civil rights to immigration. LNS’ goal, therefore, is to engage union membership directly and help reframe their interests around environmental sustainability. It’s possible to imagine this kind of organizing trickling up. The Communications, Energy and Paperworkers Union of Canada (CEP) has opposed both the Keystone XL pipeline and the proposed Enbridge Northern Gateway Pipeline, even though CEP represents oil, gas extraction and refining workers, including some who would mine the tar sands. The union's continued member engagement on environmental issues—including sending a delegation to Fukushima, Japan to learn about the nuclear disaster and its impact on workers—have helped it stake out forward-looking stances on questions such as nuclear power and tar sands exploration. There’s a major hurdle to this kind of change, however: labor’s partnerships with the fossil fuel industry. In 2009, LIUNA and 14 other unions signed onto the “Oil and Natural Gas Industry Labor-Management Committee” with the American Petroleum Institute, billed as “the first time that the oil and natural gas industry and its labor unions have agreed to work together formally.” Among the key functions of the partnership is to push for approval of projects such as the Keystone XL pipeline and natural-gas “fracking” in the Marcellus Shale. In 2012, the BCTD and four other unions belonging to the new partnership spent more than $1.5 million in lobbying for the pipeline. The picture isn’t altogether bleak. Four labor groups—the Amalgamated Transit Union, the Transport Workers Union, National Nurses United and the National Domestic Workers Alliance—have formally opposed the pipeline, although unions who support it are quick to point out that these groups have no stake in the project. Members of the Communications Workers of America (CWA) and other unions marched alongside the Sierra Club and 350.org during a massive climate rally in February. And outside of the Keystone XL fight, “there’s a lot happening where unions and environmental groups are working together for common purpose—you just don’t hear about it,” says Kenneth Peres, the CWA’s chief economist, citing the successful push last year by unions and environmental groups to increase fuel efficiency standards for automobiles, during which the United Auto Workers reversed a long-held position against such regulations. And while divisions over the pipeline may look like the coup de grace for ailing blue-green alliances, Uehlein believes that there’s still room for evolution on both sides. LIUNA, for example, is one of a handful of unions that have endorsed timelines for carbon reduction, and he emphasizes that it would be foolish for environmentalists to discount unions currently on the other side of the pipeline fight as allies in the long-term. 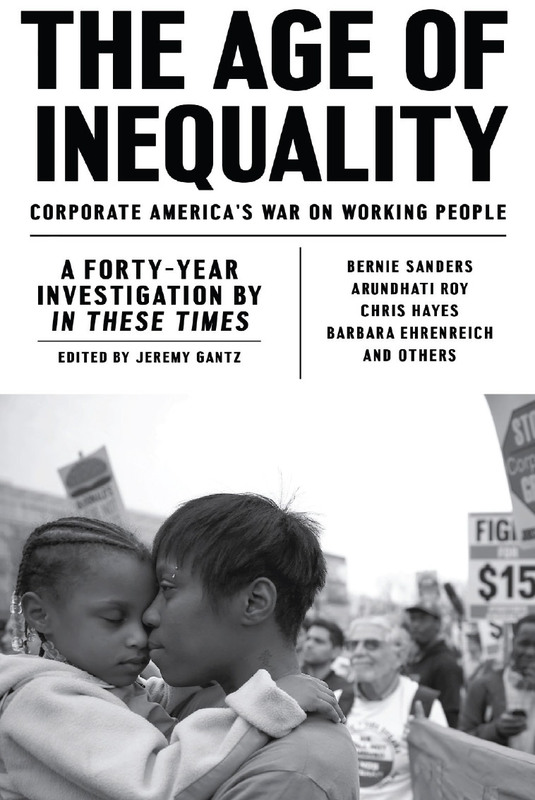 Note: CWA and the UAW are website sponsors of In These Times. OCAW merged with the Paperworkers union in the 1980s to form PACE, which itself later merged with the Steelworkers. Many of the old OCAW locals still reside within USW as more-or-less autonomous units, with their own officers, collective bargaining agreements, etc. I'm commenting on this piece as a steelworker activist, one who helped found a Blue-Green Alliance in my state, Ohio. I personally appreciate the tone of this piece. The problem, as I see it, is that environmentalists are putting things in 'end of the world,' 'all our way or nothing' tones, while org'd labor, predictably, has generally backed the posibility of creating good jobs for their laid off members. 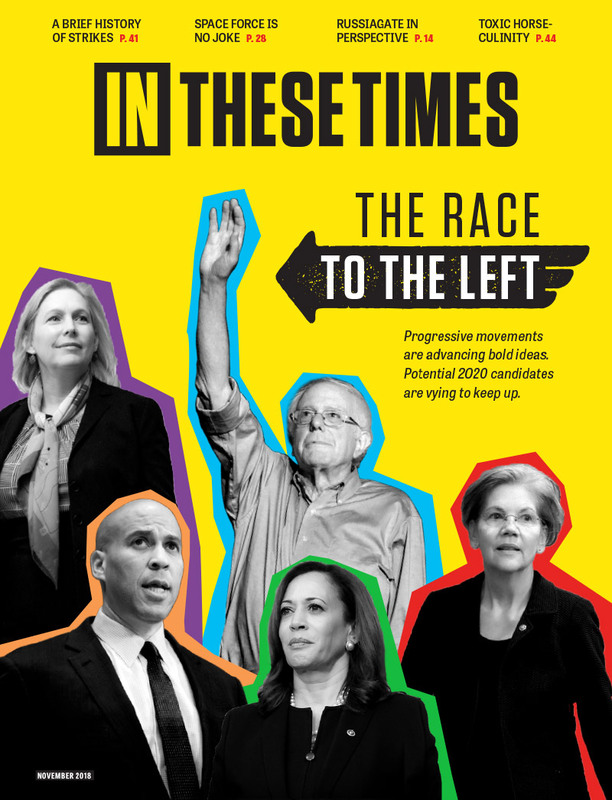 I do think that the right tone for progressives with both sides' interests at heart is to encourage dialogue, with hopes of developing a better understanding of what both sides see as priorities. I just plain do not see a common position coming out of this one, but the very real possibility is there to wreck what positive steps toward unity we've taken over this issue. Clearly, from a historic perspective, we must move toward Green energy, away from fossel fuels if we are to survive. However, the unity needed to win this fight cannot be won based on empty, good sounding promises. Workers in this state and others have lost hundreds of thousands of good, solid industrial jobs, jobs that folks were raising families on. Unfortunately, while the BGA has, correctly I believe, put forward the idea of Green jobs as the new 'Basic Industry' producing energy & jobs for the nation in the coming period. However, without the much needed independent labor-led movement that shoud be building the mass movement required to win a massive federal Green jobs program, we are left with little investment, few jobs (there are some damned good ones, but very few of them), and a lot of hot air for unemployed workers. For environmentalist, this is certainly their concern also, and on many of their key issues, we've had disappointment, as well. We cannot win workers to green anything without any concrete results. A laid off worker just knows his family needs help & flipping burgers won't get it. To win a real buy in, there MUST be a real movement fighting for real jobs, & WINNING THEM! This fight can be a learning moment, or it can be just another excuse for left temper tantrums due to our frustration. Lets make sure that its the former! I'm not sure where Burns gets her figures, but TransCanada's own 2010 press release puts the # of jobs created at 13,000 and the State Dep has stated that the # would be less than half that. Considering the fact that the US is losing a couple bridges a month with 10's of thousands more due to go, it's getting to where the laid-off ironworker isn't safe to sleep under them any more. I wish the AFL-CIO, LIUNA, and the rest of big labor would look at the "sure thing" rather than the "Shell" game put out by big oil. The multi-billionaire Koch Brothers are backing this Big Time, since one of the refineries they own in Houston will process this oil, which will then be put for sale on the open market for overseas consumption. Was it Sinclair Lewis who said, it is difficult to get someone to understand something when his income is dependent upon not understanding it?